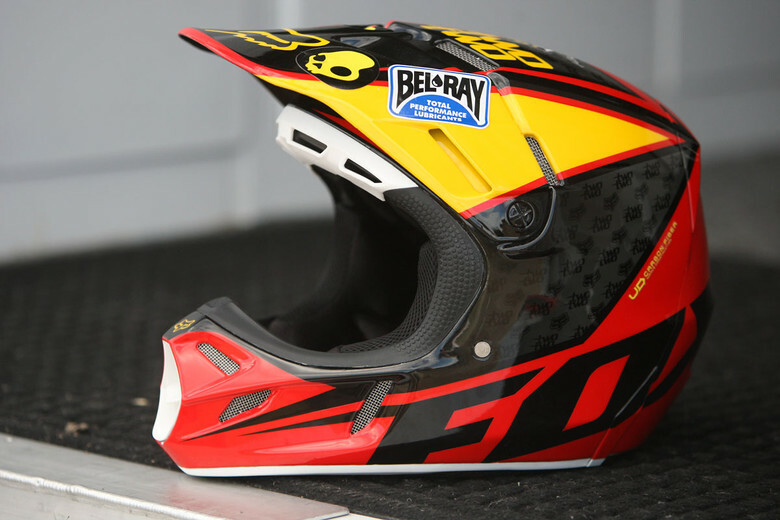 New for 2012, the Fox Racing V4 Helmet is gunning for the top spot in the MX and SX helmet realm. Designed from the ground up and currently being worn by Chad Reed and Ryan Dungey in SX for the 2012 season, the Fox V4 is strides ahead of its predecessor, the V3. With much-improved shape, fit, balance, and an extreme amount of venting, there is no reason why this helmet shouldn't compete directly with the top offerings from Shoei, Bell and Arai. Add to that the support from today's top Supercross riders, and there is no doubt the Fox V4 Helmet will make a big splash in the industry. Check out some of the bullet points below to read about the upgrades, and stay tuned for our detailed video review coming very soon. The V4 will available in the following versions: Fox V4 Flight Helmet, Fox V4 Future Helmet, and Fox V4 Rockstar Helmet.